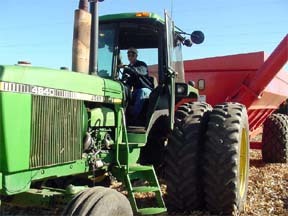 Agronomy is a term that basically means the study of plants and soil. This degree will allow students to learn about the interactions of the soil and plants that contribute to produce high yield crops. Agronomy requires a good understanding of how soils were formed, natural nutrients found in soil, as well as how fertilizers, pesticides, and irrigation systems can enhance plant growth. As an agronomist, you’ll also need a basic understanding of how new and better crops are developed through plant breeding and biotechnology. You will also need to be aware of how weeds, insects, and plant diseases affect soil and plant health. As an agronomist, you’ll also need to develop an understanding of precision agriculture. The use of yield monitors, auto-guidance, Unmanned Aerial Vehicles (UAV), and Geographic Information System (GIS) software are having a profound impact on the future of agriculture. If you enjoy learning how plants grow and precision agriculture, this career may be for you. Crop production specialists need to be comfortable with dealing with unpredictable weather, changes in markets, and emerging consumer needs. You need to be well-organized, be good at record-keeping and changes in the commodity markets. Agronomists have to be life-long learners to keep up with the constantly advancing agricultural technologies.